A popular subject for early railway artists? 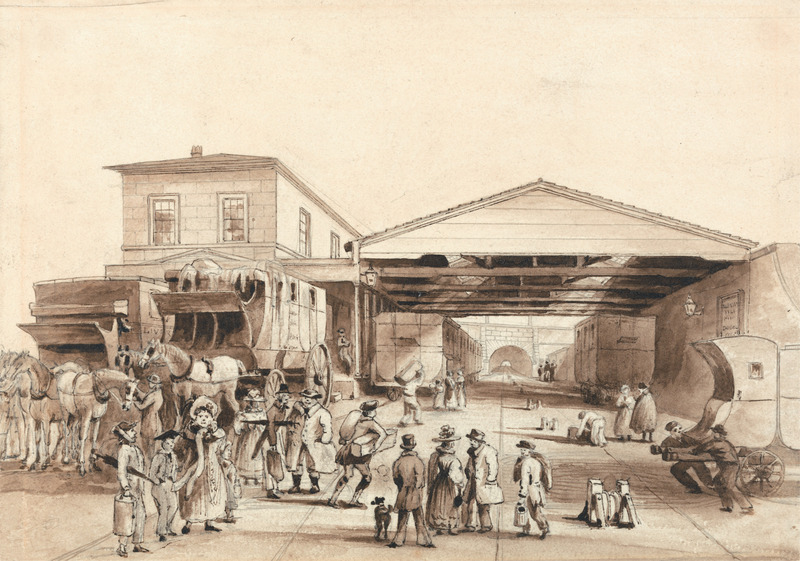 The Liverpool & Manchester Railway (L&MR) opened in 1830 and Reid's Farm was an early stopping-place, first appearing in fare schedules in 1831. 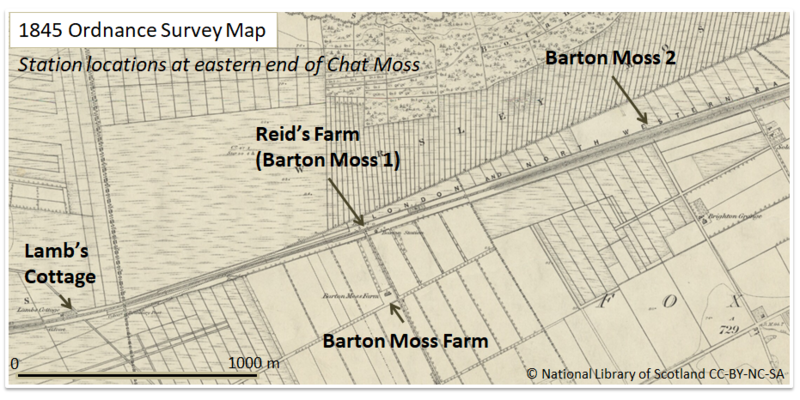 The first part of this post looked at how Reid's Farm got and lost its name, subsequently becoming known as Barton Moss (which I take to be a subset of Chat Moss in the context of . . . When the Liverpool & Manchester Railway (L&MR) opened in September 1830, there was no timetable for intermediate stopping places, . . . It's always fun to find a new source, not least when it's a book written 200 years ago that triggers the search. Americal pioneer chemist and science educator Benjamin Silliman visited London in 1805 and was impressed by what he found at the British Museum (BM) if not by the rushed nature of the visit. I know almost nothing of the Chinese carriage, not even its proper name. 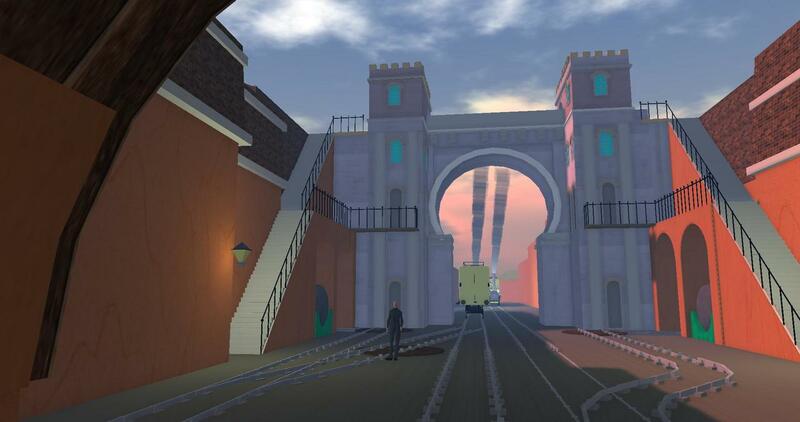 I'm calling it Chinese carriage because it has the words Chinese and Liverpool painted on the side we can see. Did it say Chinese and Manchester on the other side? Of course, many carriages had names and the epithet may have had no meaning beyond being aspirational. . . .
Two artists feature most prominently in the early history of the Liverpool & Manchester Railway (L&MR). 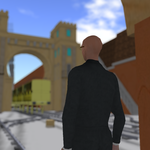 Thomas Talbot Bury was an architecture student who recorded the early days of the L&MR and then went onto a well-documented career as an architect. By comparison what we know of Isaac . . . I will return to talk about the picture at a later date but Shaw kindly included an interesting detail on the righthand . . .
Charles Calvert's painting of trains passing at Newton-le-Willows (or Newton-in-Makerfield as it was more likely known at the time) has been widely reproduced despite obvious defects in perspective with regard to the train on the right. . . .